The 2018 Nissan Maxima isn’t just your average sedan. In fact, it’s the perfect vehicle for those drivers who love a refined, performance-oriented ride without spending the big bucks – and U.S. News & World Report agrees. That’s why it comes as no surprise that the Maxima was recently named on the U.S. News & World Report list of the Fastest Cars for the Money in 2018. 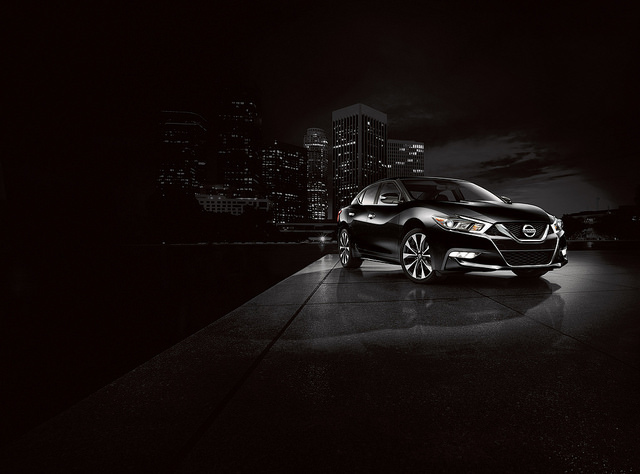 According to this list, the 2018 Maxima earned an 8.6 out of 10 in the assessment process, making it one of the best-equipped vehicles in its class. Each trim comes with a 3.5-liter V6 engine that is paired with an Xtronic Continuously Variable Transmission (CVT) with Drive Mode Selector. This set up puts out 300 horsepower and 261 lb-ft of torque. If you’re interested in making the Maxima work even harder performance-wise, then you should consider opting for the SR trim level. Though the engine doesn’t get a boost in horsepower, this trim includes an upgraded sports suspension, paddle shifters for the CVT transmission, aluminum sport pedals, and an electronic chassis management system that allows the suspension to adjust for different road conditions. These features all work together to make sure your Maxima’s handling will be even better than it is on other trim levels. Get a taste of the 2018 Nissan Maxima’s top performance with a test drive at Rothrock Nissan!